Successfully Added B6 Bluetooth 2-In-1 Audio Receiver + Transmitter - 600mAh Battery, 10 Meter Range, 3.5mm Audio Port to your Shopping Cart. Although modern electronics along with the numerous of functions and features they offer appeal to many consumers, their high price tag often leads people to the decision not to purchase a certain device. With the B6 Bluetooth Audio Receiver and Transmitter you now have the possibility to advance all your trendy old-school media devices into the Bluetooth era without the need to replace them. 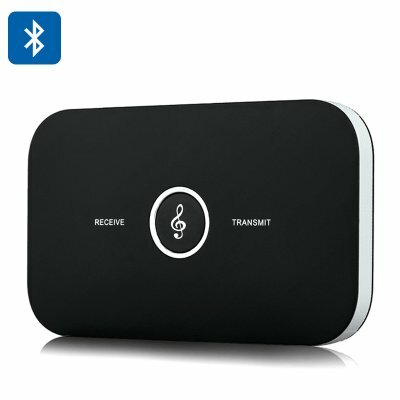 Why spent a significant amount of money on the latest technology when you can simply upgrade your current electronics with this affordable wireless Bluetooth receiver and transmitter. 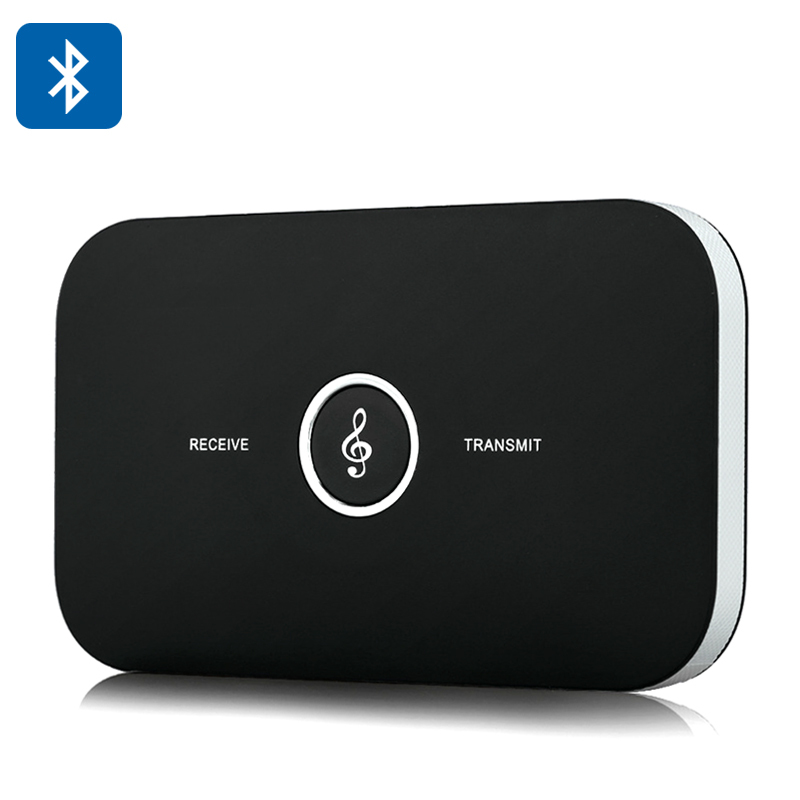 Wirelessly transmit music, video’s, games, and more with the B6 Bluetooth Audio Receiver and Transmitter. Simply plug in the device into your traditional speaker or television and you now have the possibility to stream music, games, and video’s straight from your Bluetooth enabled smartphone, tablet, or laptop onto your classic device. Featuring a 600mAh battery this energy efficient and environmental friendly wireless HIFI receiver and transmitter offers hours of continuous usage time, enough to enjoy all your favorite movies, games, and music without the fear of running out of battery any time soon. In order to increase its sufficiency this wireless receiver turns off automatically after 10 minutes of non-usage – ensuring low power consumption. As this fabulous device serves as both a transmitter and receiver there are countless of possibilities. Not only can you use your smartphone or tablet to play music, video’s, or games through your classic TV or radio – you will also be able to transmit music from your old-school radio, tv, or surround set to a modern Bluetooth speaker that has been placed in a different room. With its 10 meter transmission distance the B6 Bluetooth Audio Receiver and Transmitter is the perfect device to wirelessly transmit media files in any household or office. Listen to your favorite music saved on your smartphone through your old-school speakers, watch online movies or play games on your classic TV, or transmit music from your old-school speakers to a Bluetooth speaker located in a different room or backyard - with the B6 Bluetooth Audio Receiver and Transmitter your options are limitless. The B6 Bluetooth Audio Receiver and Transmitter comes with a 12 months warranty, brought to you by the leader in electronic devices as well as wholesale electronic gadgets..
Arabic: - هيفي اللاسلكية السمعية الإرسال والاستقبال - Chinese Simplified: - 高保真音频无线发射器和接收器 - Czech: - Bezdrátový HIFI Audio vysílač a přijímač - Dutch: - HIFI draadloze Audio zender en ontvanger - French: - Récepteur et émetteur Audio sans fil HIFI - German: - HIFI Wireless Audio-Sender und Empfänger - Hebrew: - HIFI אודיו משדר אלחוטי ומקלט - Hindi: - HIFI वायरलेस ऑडियो ट्रांसमीटर और रिसीवर - Hungarian: - HIFI vezeték nélküli Audio-adó és a vevőkészülék - Italian: - Ricevitore e trasmettitore Audio Wireless HIFI - Japanese: - ハイファイ無線オーディオ トランスミッタとレシーバー - Korean: - 고음질 무선 오디오 송신기 및 수신기 - Malay: - HIFI tanpa wayar Audio pemancar dan penerima - Norwegian Bokmål: - Hi-Fi trådløs lyd sender og mottaker - Romanian: - HIFI Wireless Audio emiţător şi receptor - Russian: - HIFI аудио передатчик и приемник - Spanish: - Receptor y transmisor inalámbrico de Audio de alta fidelidad - Thai: - ตัวรับและส่งสัญญาณเสียงไร้สาย HIFI - Turkish: - HIFI ses kablosuz verici ve alıcı - Vietnamese: - Máy phát âm thanh không dây HIFI và nhận.